MaxTime -- easy to install. 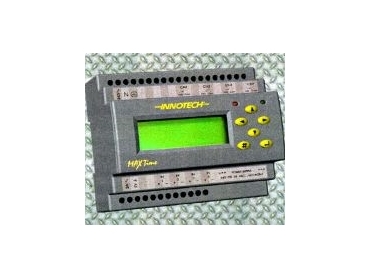 INNOTECH Control Systems has announced the release of the MaxTime, a four-channel, 365-day timeclock, featuring optimum start capabilities. The MaxTime is designed for applications such as air conditioner plant scheduling and usage optimising, domestic and commercial lighting, security, and virtually any application that requires events to occur at a scheduled time. The MaxTime's energy saving optimum start functionality uses remote temperature sensors, making it particularly useful for air conditioning applications. Additional features of the MaxTime include 32 on/off weekly events per channel, 20 on/off yearly events per channel, remote after hours input and run log, and a battery-backed clock.